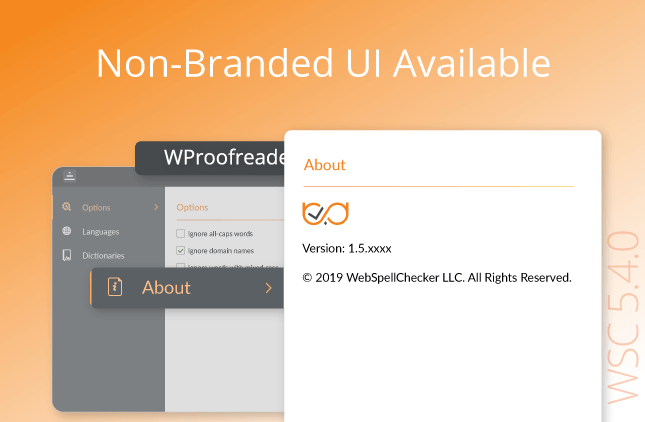 Starting version 4.8.6, the WebSpellChecker component, spell checking in a pop-up window, doesn’t require configuration and installation of an additional sproxy component. The sproxy component was used to meet the requirements of the same-origin policy for cross-domain requests. Now all requests from WebSpellChecker component are sent directly to the application web-interface using the cross-origin resource sharing (CORS) mechanism. This allows not just skipping additional configuration but also improving the service performance and response time. Moreover, the backward compatibility has been implemented for already configured and existing web-systems which use the old WebSpellChecker configuration. Now the Custom Dictionary functionality for the Hosted version is available not only for the default list of languages but also for all the additional languages. 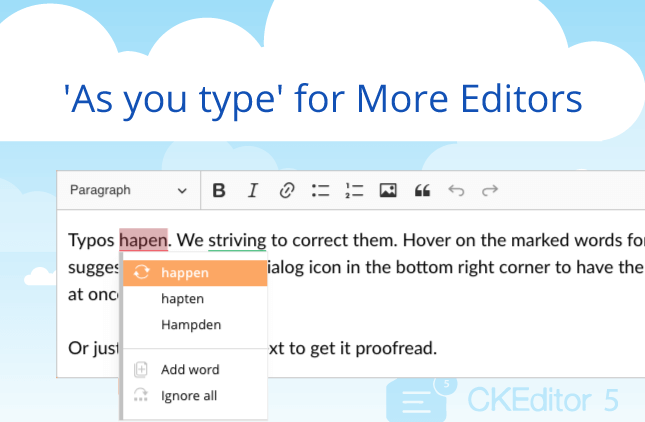 Improve the quality of the spell checking by creating and using the Custom Dictionary with your custom words (complex words, acronyms, proper names etc.) and use it across application or website. The Java servlet component is required for the standalone version of the WebSpellChecker application configuration under such application servers like Apache Tomcat, Oracle WebLogic Server, etc. With this version the list of enhancements the component security has been introduced. 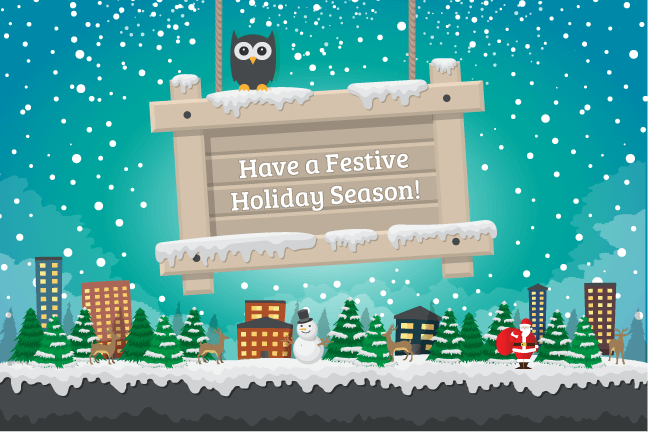 Contact us at support@webspellchecker.net to find out more about the new version 4.8.6.